It’s that time of the week again when I participate in WWW Wednesdays hosted by Should Be Reading. 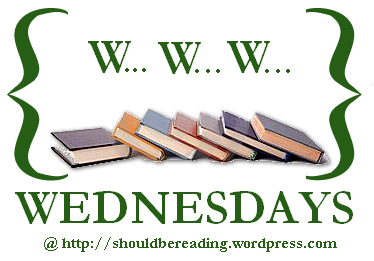 Feel free to leave a link to your WWW Wednesday post in the comments. To participate in WWW Wednesday, you need to answer three questions. 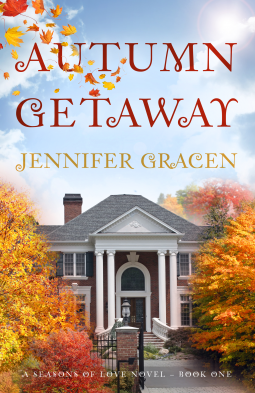 “Author Jennifer Gracen brings together a colorful cast of friends and family in Book One of the Seasons of Love series, Autumn Getaway. Newly divorced mom Lydia is just getting back on her feet. Her college roommate’s wedding promises a much-needed getaway weekend with old friends, at a beautiful manor in Connecticut. When she meets Sam, a handsome friend of the groom, she’s nearly overwhelmed by a confusing mix of hope and trepidation. Their instant connection feels intensely real, to both of them, but the ink is barely dry on her divorce decree. It takes all her nerve, and more than a little prodding from her girlfriends, to convince Lydia to give her heart — and Sam — a chance. But when the magical weekend comes to a close, Sam must return to Chicago, while Lydia heads back to her complicated life and young son in New York. Can their newfound connection survive the trials of physical distance and years of emotional baggage? “What if you could do it all over again? Jennifer Wright is pretty sure her husband doesn’t love her anymore. She and Max used to be the perfect couple, but the pressures of work and kids have pulled them in opposite directions. 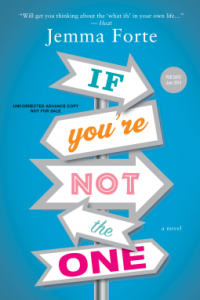 Now , Jen is full of “what if” questions about whether her bland, suburban existence is all she was ever destined for. “Years ago, Tanner Green loved Sunny Letman. She was meant to be his first kiss, first love, first everything. Then their world spun upside-down and out of control. Free-spirited Sunny doesn’t do commitment. Sure, guys are great for a night or a week, but she always leaves first. That is, until professional skateboarder and town golden boy, Tanner Green, unexpectedly walks back into her life.